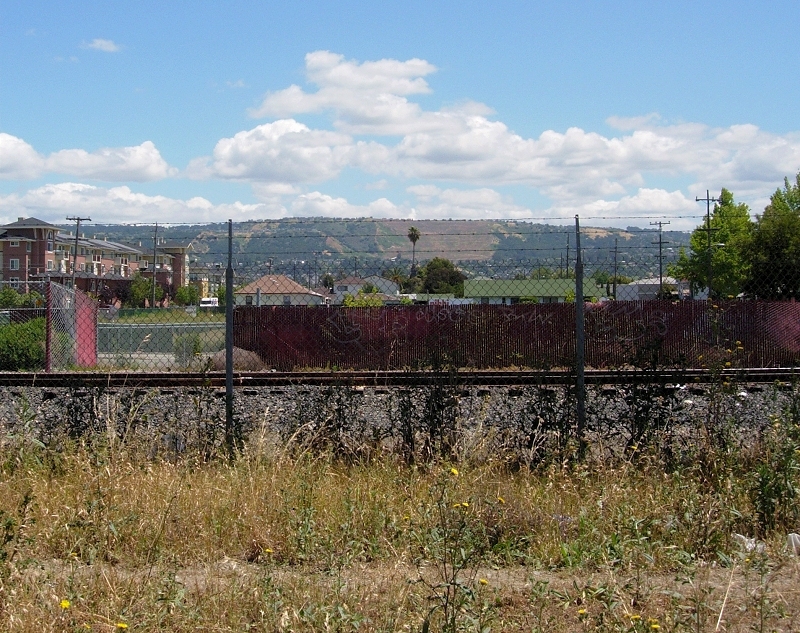 Oakland’s landscape has changed a lot over the years. The first settlers saw none of this but the sky and the hills; the foreground was grasslands teeming with grazers, wolves and grizzly bears. Even the grasses were different. The hills didn’t have the big quarry scar, and there were no palms. The view is much prettier from directly above this spot, in a BART car heading south out of Fruitvale station. Click the photo for an 800×633 version. This entry was posted on 22 June 2010 at 9:26 am and is filed under Oakland geology views. You can follow any responses to this entry through the RSS 2.0 feed. You can skip to the end and leave a response. Pinging is currently not allowed.